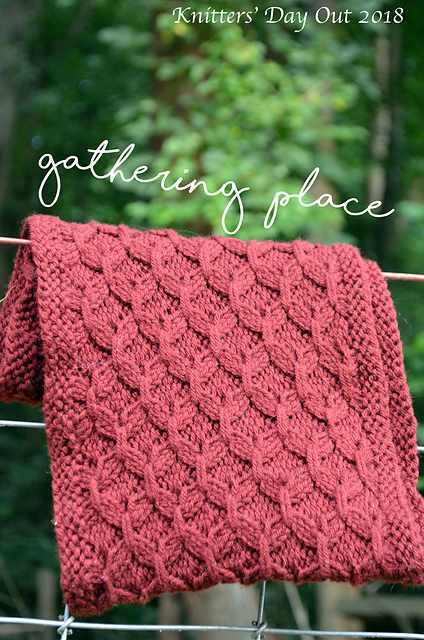 "Gathering Place" is the new cowl pattern celebrating the 33rd annual Knitters Day Out to be held at Central Penn College in Summerdale near Harrisburg, Pennsylvania, September 28th and 29th, 2018. Knitters Day Out offers classes, shopping, and a community gathering, devoted to the fiber arts and knitting craft that we all love. The cowl knitting pattern is smocked in a beautiful stitch pattern, and offered as a free pattern on Ravelry. Registration for Knitters Day Out is open from July 12th at noon EST to September 14th at 8 pm. Visit the Knitters Day Out group on Ravelry for details, or on Facebook. A plethora of classes taught by expert knitters and fiber artists is available: brioche in the round, socks from the toe up, Portuguese knitting, working with charts, beyond basic cables, pattern writing basics, are just several of the classes offered. You will find the extensive list of classes here. All information is included in the free pattern download as well. 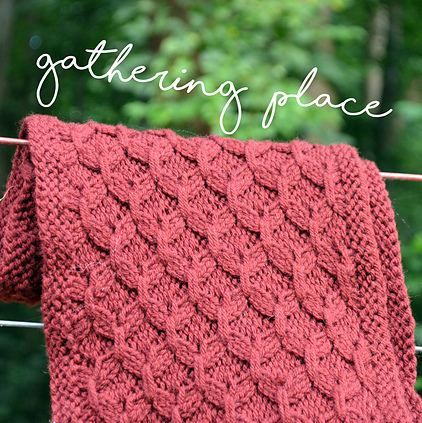 "Gathering place," designed by Irina Lawrence, can be knit with DK or worsted yarn in two sizes 20" (single wrap) or 45" (double wrap) after blocking, with either 210 yards or 440 yards of either yarn, depending on the length of the cowl desired. You will need a 16" circular US 7 (4.5mm) needle or size needed to obtain the gauge: 20 sts x 24 rows = 4 inches in garter stitch. Irina asks that you do not reprint or post this pattern online or sell finished cowls. You may, however, knit it for yourself, as a gift, or for charity. Please acknowledge her wishes. 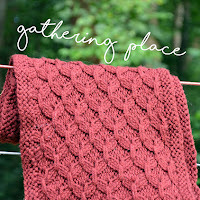 "Gathering Place" can be downloaded as a free cowl pattern here. Knitnscribble loves this smocked stitch, which can be used to knit scarves and blankets as well.